LET’S HEAR IT FOR PROMETHEUS! EDIT: I originally wrote this to celebrate this years ALIEN Day, however it wouldn’t post at that time, but now at last, everything appears to be back to normal for me! Like many of you, last April I was looking forward to setting off for the PROMETHEUS & ALIEN double bill, which formed the first half of the Alien Super Ticket. Covenant was still a few weeks off and anticipation levels were somewhat high. How time flies. This years ALIEN Day dawned rather forlorn in comparison. What do we have to look forward to now? Will another ALIEN prequel be forthcoming? If so, will Sir Ridders be at the helm? Will what started off so promisingly, the Prometheus mythos, ever be revisited and reach a satisfactory conclusion? I thoroughly enjoyed seeing PROMETHEUS then ALIEN play out together on a cinema screen. I was reminded yet again, of how damned beautiful PROMETHEUS was. How fresh and refreshing this new chapter proved to be. I’ve said it before, but I will gladly repeat myself. I now view PROMETHEUS as a precious gem. Possibly a one-off, spectacular, multi-faceted, shiny diamond! Ridley never gave us 25ft Space Jockeys, but I liked the Engineers. Their technology was beautiful, their architecture awe-inspiring. Everything felt connected to H.R. Gigers work. The creatures roots were clearly visible, yet they branched into fresh territory. Ridley got so many things right. The landscapes, digital and practical effects, a production design second to none. Whether you dislike the characters or not, the story is interesting. Even more so, the potential future possibilities could have been mind-blowing! For me, one of the most interesting aspects was the Black Pathogen, a highly mutable, liquid for creation. Its future capabilities were endless. Was it found or stolen by these Engineers, or created by them? I so looked forward to finding those answers & more. There are many ways to continue its themes. To introduce other species (including 25ft Space Jockeys!) To have the Engineers return. To have David get the ending he so deserves. God knows, some of our members have come up with truly great concepts! PROMETHEUS is six years old. In those few short years it has created much controversy, speculation and argument and has to be the most talked about Sci-fi movie to date! I pray that it doesn’t get forgotten. 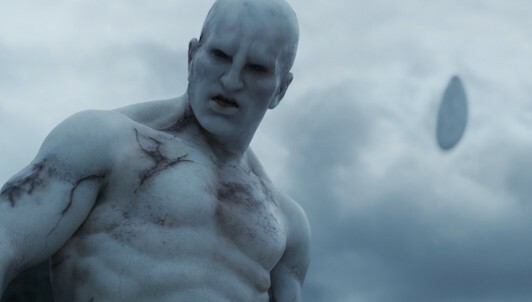 For those of you who enjoyed and appreciated it, let’s hear it for PROMETHEUS! 34 Responses to LET’S HEAR IT FOR PROMETHEUS! Prometheus is indeed a beauty to behold visually. The story and black goo mystery were both very interesting as well. Unfortunately, the follow up movie didn't seem to do much to answer those questions. Honestly, Prometheus seems to be a really good movie as a stand alone unrelated to Alien imo. dk But it does answer every question by either it does not matter and Shaw has a terrible fate (either dead or alien breeding machine). You should thoroughly satisfied with these. David is the only thing that matters, accord to Hagg(?). ignorantGuy Issues with Prometheus I have stated set aside, it is a good movie by itself. It would have been better if AC would have went more into the Engineers though (and I liked AC as a stand alone movie as well). I still wonder what Fox intended with the release of Advent and bringing the Engineers back on topic. Did they feel the need to explain some of the questions raised by Prometheus, to shed some light on their legacy, their place in the universe? Do those murals have some meaning? It seems obvious that we could learn only from David about the Engineers' ways, only by deciphering their files and not by direct questioning from Shaw. I wonder if we will ever get back (in any form) the missing time elapsed between Prometheus and Alien Covenant, including the ten years spent by David on Planet 4. To answer the topic, Prometheus would have been great, in my opinion, without the silly horror elements, less crew and subsequently less ridiculous dialogues and deaths. The hammerpede and trilobite did not convince me, I prefer the creatures from Covenant. The Deacon seemed like a fan service stroke job too. Cool creature but it went nowhere. I LOVE Prometheus. It was spot on, yet it has its little flaws which do affect the movie. I give Prometheus a 9 out of 10. Regardless of my rating, it is still an exciting movie to watch. Even when you know the story, the movie is still exciting to watch because of the visuals. Alien: Covenant wasn't scary to me at all. Prometheus was. I felt like Prometheus has more in common with the ALIEN franchise than Alien: Covenant, even though there is a Xenomorph (or Protomorph) in Alien: Covenant. That's all I could think of at the moment. Add and correct this list if you want to. 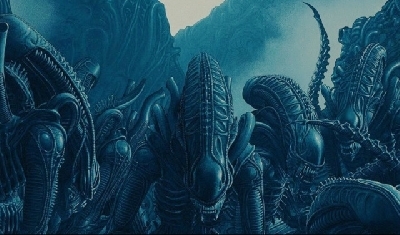 I feel like ever since ALIEN, the franchise wasn't as fresh anymore; obviously, since the Xeno isn't mysterious anymore. I feel like Prometheus gave us something completely fresh that was actually similar to the original ALIEN movie. It was a great way to reboot the franchise. Despite the flaws, I'm glad Prometheus was made! Thanks for your replies peeps! I agree that both movies work better as stand-a-lones. PROMETHEUS in particular. Could be partly because that was the original intention? 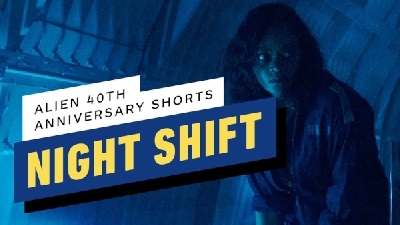 I've always felt it would have been received much better if it had been promoted as a new RS directed Sci-fi movie, rather than as being directly connected to ALIEN. It seems to me that The Crossing was intended as part of the theatrical release & I wonder if Advent was possibllly meant to be included too? I remember reading somewhere that Fox wanted Ridley to cut the Black Pathogen bombing sequence too, but Ridley wouldn't budge on that! Still it explains why it was so short a scene. daliens & dk I know the Hammerpede, Cuddles & The Deacon never sat well with a lot of people, but I actually feel that they were quite worthy Lovecraftian creatures & as such, quite Gigerish. Not full on biomechanical Giger, but precursors to his aesthetic. I Moon Girl I'm glad it was made too! I think it's a beautiful & wonderful psychedelic trip. Also worthy of note are it's brilliant use of practical effects. Covenant too. Ridley kickstarted the return of the Artisan- hugely talented artists & craftsmen whose work is breathtaking to behold! Lone Before Covenant I would say I loved it, but now I know it is unrequited love. So might have been better not to like in the first place (and no, this is a series and movies cannot be taken separately). And you can art which some can deem be "beautiful", but do they make sense in a show don't tell way? For me at least David lair does make much sense. If you go for precision in D's handy work (nicely sectioned egg on the table), why make that shoddy chair? Why would he be angry at Oram killing a white when he already killed many of them? And those a literal Renaissance picture even work on a planet of Advanced space faring civilization? The story was alright, my issue has got to do with the characters. David and Janek were the only characters that I found interesting. The crew members of Janek were not dumb or annoying (except for see you on the other side kind of comment, or however they said that) but we didn’t see too much of them. Vickers could have been alright if she would not have been so bitchy in her attitude but at least she was not dumb like Shaw. They could have made the Engineers better while making more sense of them. It was too much of a guessing game and not everyone want to sit through it 50 times to understand what it is about (I am kind of patient so I can watch it many times the figure out what it is about). If I want to get another alien prequel. My attitude to that is well it depends on if they get the characters right, good environments, monsters, and so on don’t mean a thing if the characters are not well done. Less David thanks, the last movie (AC) was all about him, boring and yeah he was better in Prometheus. Give me more about the Engineers and make them threatening as hell. I agree Lone that the Engineers are very interesting. Make them either those that made the original Xeno from scratch so we get rid of that thing that David did it or that they found something and made it from that. Let Ridley handle the visuals but keep him away from the story otherwise we will get another movie about David, that would a huge disappointment. If Ridley insists on being involved in the story process then get another director since he is not a writer. Yup, Prometheus was beautiful as far as the aesthetics are concerned but I need more than that. If we will get a conclusion of Prometheus, I am not sure. It depends on what parts that you want answered I guess. Personally I want to know a bit more about the Engineer culture and their connection to the Xeno. There got to be things about them that are more interesting than the little that we saw of them in AC (that wasn't very impressive). The story is first, characters is second. Some people think that the themes are important but if I do not get a good story and well done characters then I frankly do not give a damn about the themes. Yup, the pathogen was interesting too bad that it made less sense in Alien Covenant. I think that I do not want an answer to where it came from. I prefer to keep that as a secret so we get something to think about. Prometheus is not the worst Alien movie but it is far from what it could have been. At least it is better than Covenant, AR, AvP, and AVPR. P was a good movie that poses a lot of questions. But AC as a follow up of P never answers the questions P raised in a way that would satisfy most people who liked P for what it is. It is actually too vague to draw any meaningful conclusions from it - that is how open it is really. Prometheus is a story with a lot puzzles, which are naturally intriguing and captivating because it has biblical references which no doubt get traction with a wide section of population and it has technology(in its ultimate form - David). Besides, it tells the story of how human wants to evade death - everyone at some point wishes to have that choice. ignorantGuy, it is kind of hard to make sense of some of the things you posted, but, the neo-morph is an organism that was born from a human being devoured by the flying beast. 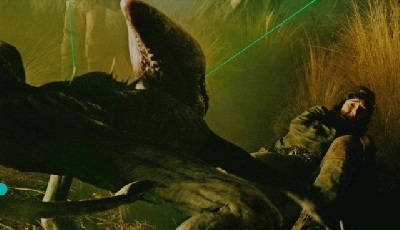 The planet 4 had no humans, so those two fellows, one of whom Oram shoot down were unique in the sense that David had no knowledge of them before Covenant crew arrived. So they presented interest for David. First i will put this Reply i had to Thoughts_Dreams on another thread... its roughly where/why the Prequels started, where they Evolved to and where maybe RS could now have been taking us. "To me it was too much about the robots, that is not what I am looking for in an Alien movie." The Xenomorph had been done over and over and the AVP movies did reduce it to a lesser threat than it was during the first few movies. But we still did-not know HOW/WHEN/WHY those Eggs ended up on the Derelict, and WHERE/WHEN/HOW did the Space Jockey come into contact with the Xenomorph Eggs and WHY? *What Relation did the Space Jockey have with those Eggs, and WHY would he be carrying them on his Ship. *Where did the Xenomorph Originate from, was it something Found/Discovered or something Created/Engineered. These are the TWO Big Questions, rather than WHAT HAPPENED to the Space Jockey, as we can answer those TWO Questions without having to even show the Space Jockey Fate/Event. ONCE.... you answer those TWO Questions, its then what DOORS does this open up for the Space Jockey, do we go off to explore who he was and what his Race was and what their Purpose is? Or do we go off to cover more Xenomorphs? Maybe the TWO could be expanded and covered more in Unison depending on HOW they explained their connection. When working on the Prequels... they had decided to give us a Background Story to our Space Jockey Race... which tied these beings as being connected to our Creation and the Chariots of the Gods/Ancient Aliens Theory.. a BOLD Plot... one that allowed the Universe to be EXPANDED beyond Xenomorphs. ALAS... the Prequels Started, but they then decided that actually we dont need the Xenomorph Origins or Space Jockey Event Spoon Fed, and we dont need to see Xenomorphs as they had been done over and over and so they would concentrate on clues to how the Xenomorph could be connected/created but more so to look at the Reasons WHY and WHO would be involved in such a things..
And so PROMETHEUS was born.... but from the aftermath, it seemed those at FOX felt the movie was just steering away too much from ALIEN and the whole Gods Plot is maybe not what would get Fans on-board and that RE-INTRODUCING the Xenomorph back and giving Fans those Answers was what would be best and to now Steer TOWARDS Alien, and further from where Prometheus may have taken us. 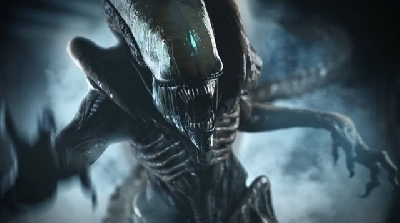 So we have gone from exploring the Space Jockey/Xenomorph connection as Ancient Angry Creators and their Intentions to UNDO their wayward creation as in context to covering more of WHY and explore WHO these beings was and WHY they create life, and then WHY/WHEN they got involved in all those Horrific Experiments related to the Xenomorph/Black Goo. Which may all be taking the Franchise off Tangent and to a place thats not really connected to the Franchise. To then go the route of AC which will connect to the Franchise.... Because the Xenomorph and Reasons for David creating it are maybe not far off the reasons it may have been intended. Because going deep into the Engineers and Gods etc could be a distraction from Alien and also such a BOLD plot can be tricky to continue and then contradict the Franchise. One ELEMENT within the Franchise is AI, its something overlooked by many, but we have to ask such Questions like this. 1) WHY does the Company Pursue the Xenomorph, to what END and HOW could they possibly have any use for it? Considering the FOLLY that in continued to pose and THREAT? 2) WHY the above when they could have spend more time with the Engineers Secrets and Black Goo? 3) WHY was Mankind/Company so not prepared, yet so much should have already been known with Special Order 937? 4) WHY was ASH so Fascinated by the Xenomorph? And by going the AI route as far as the Natural Order of Creation, Rebels against Creator and becomes Sentient and wishes to be the NEW Gods... this fits with the Prometheus Themes and some of the Ancient Mythos/Religion themes. Going the Route of AI/David playing a behind the Scenes Role in the Pursuit of his Creation or AI in pursuit of one of their own kinds Creations, fits with the Philosophy of Prometheus but then also helps to give INSIGHT into Reasons behind those 4 Questions i posed. I feel this is in part the reasons for the route Ridley Scott was taking.... and for those who feel AI has not place in Alien... it actually could have a LARGE place behind the Scenes. The LAST movie made in the Original Franchise was Alien Resurrection and besides the usual Ripley, Xenomorph and Company.... we see indeed in the Back Ground we have a World where AI has gone on to by the looks of it, have a Major Impact on Earth, and AI has even Sub-created itself with the Autons who are hinted to be involved in a Conflict with their Synthetic Creators. The Autons appearing to have adopted a Ritual/Religious notion, and so we can see a Future Earth/Galaxy where AI would pose a threat to Mankind and prove to be a GREAT Hubris for us... as not doubt our Creation was for the Engineers... but we see the FINAL layer as the Autons being a Creation to Great Hubris to the Synthetics. So the AI aspect in the Franchise kind of makes sense... it could even lead to a ALIEN 5 (as my planed idea was) that the Auton Cult that CALL belonged to, had secretly set up the events of AR so CALL could obtain Ripley 8 for the Autons own Aim/Agenda. Reveal some Religious element to them, but also Cultural like the Engineers and even have them WORSHIP ... DAVID and their Pursuit of HIS Creation too. At their Ultimate Hubris.... thus showing the Xenomorph/Strain as the Ultimate Act of perusing a Perfect Creation at a constant Great FOLLY. "It seems obvious that we could learn only from David about the Engineers' ways, only by deciphering their files and not by direct questioning from Shaw." I think daliens this is one of the Important things to consider, a Problem any Script Writer would Face..
Say Dr Shaw and David meet these Gods, these beings, it is a Question of WHERE is Paradise is it FAR/CLOSE to Earth? What do these beings know of our Creation/Intended Destruction, so can they provide those Answers.. if they are aware of these then how do they view Mankind and the Fact we have Created in our own Image and are able to not only Travel the Stars but also use (via David) their Technology and get to their Worlds. We then reach the Problem of if these beings dont take to kindly to David and Dr Shaw, then what chances do they have? Do they get Saved by a Engineer or Group who have good intentions? Does David use the Black Goo as a Bartering Device or Eradicates them? Depending on HOW FAR these beings live away and how they would feel about Dr Shaw rocking up with her Synthetic Sidekick demanding Answers.. really could affect how the Franchise is carried on. From ALIEN to ALIEN 3 Timeline it appears there was not interaction/aftermath of Engineers coming back HELL-BENT on taking us out. We could say the same with Alien Resurrection. So we have to Ponder that any beings David/Shaw meet have no interest in Mankind and see us as NOT a threat in-spite of our ability to Travel the Stars and Created beings who can use their Technology. The further away these beings are the less likely they would be concerned... but they would still FEAR about what was left on LV-223. So we would have to conclude Does Something Happen that prevents these beings from being able to pose a THREAT to Mankind. So we likely would be looking at the Discovery of a small contingent of Engineers left after some Mishap who had abandoned their Technology/Space Faring ways. or that via some Action of David/Dr Shaw.... these beings are NEAR ENOUGH all Eradicated. This Potential Problem... is why it was maybe easier to just WIPE them under the Carpet with Davids Bombardment, as then he could from their ruins.... perhaps gain the information and answers that Dr Shaw wanted. If David Cared for Dr Shaw, and does not want to be Alone without her, or he also or even only wants to insure his own Survival.... then for him DESTROYING those Engineers was the Logical Course of Action... in which he could Salvage from their City and maybe a handful of Survivors those ANSWERS for Dr Shaw. So even with the ALIEN COVENANT Plot... there was the potential for a period of time where Dr Shaw was alive and some Engineers where David could obtain those Answers either for Dr Shaw or himself... but we have YET to be shown what happened. From the Moment David Pulled the Trigger on those Engineers to the Moment Dr Shaw took her last Breath, there is quite a lot that could have been covered/discovered but its a case of would it WARRANT a movie within the Alien Franchise that a lot of Fans would sit through? SURELY... a Novel should be made to cover these events however. 2. 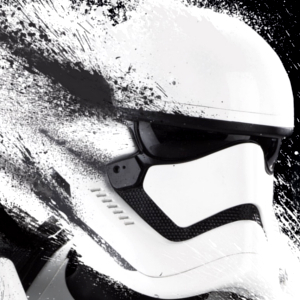 That is a contradiction between the new movies and the old ones, about which the writers did not think about. 4. There is no way to answer that which would not be convoluted. "From the Moment David Pulled the Trigger on those Engineers to the Moment Dr Shaw took her last Breath" is that even the correct order? And what could happen there the ship crashes, they fight she tries to run, he catches her and he experiments on her catatonic body for years? Which part would you like to know more about? Would be cool if David met Ash sometime in the past(or future). David could communicate with his old friend even while Ash is aboard the Nostromo....while Ash is faking hypersleep or when Ash is up and about...he probably only got in the chamber when he needed to. David can brag about his 'creations'. MonsterZero I think there has been speculation around here that David's memory may have somehow been transferred to Ash. If you think about it, it is arguable that Ash was even better than David in some ways. Ash looked middle aged and not exactly athletic and a bit grouchy- what a great cover! "I think there has been speculation around here that David's memory may have somehow been transferred to Ash. " Yeah..I think that was one of my suggestions...I thought it would be cool to see David(Ash) killed by the crew of the Nostromo....But if they can upload/download then David/Ash/Bishop/Call/Walter/MUTHUR are truly immortal. You can never kill them. Love Prometheus and would like to see the trilobite return. Tie the series together. Zombie Fifield is my favorite spacemonster......Semi intelligent. Might be able to create an army of these mutants...then give then an antidote(human again) and send them to their next mission. Have the antidote remote release from deep inside their body. Yes, perhaps at least some of David's memory transferred to Ash. Is that why Ash was so protective of the Chestburster & pretty reluctant about providing suggestions on how to deal with the Alien? "I'm still collating." Does he feel a connection to it? Was he actually able to communicate with or exert some control over it, just as David had with the Neomorphs? I wonder if that was where Ridley eventually intended to go as an explanation for or tie in to Special Order 937. Lone Between you and MonsterZero, that makes a lot of sense in connecting to Alien. As you are such a positive light around these parts I thought I would offer some brief thoughts on your celebration. Prometheus was like lightening from the sky. It had the audacity to propose a creation, which was neither Darwin nor Faith. An intelligent Creation, that requires participation in the most unsentimental aggressive way imaginable. It is set in a universe that brings into play the founder of Weyland Corp, hell bent on extending his life by subterfuge and whose companions on the journey include (Science- Milburn/Holloway, Faith- Shaw and Knowledge – David). That when he arrives he should find the creation technology had been stolen and misused is the perfect morality tail, which reaches its zenith when this pathetic old man asks a boon of the sole survivor of the species that was intent on pursuing a genocidal upgrade on Weyland's. 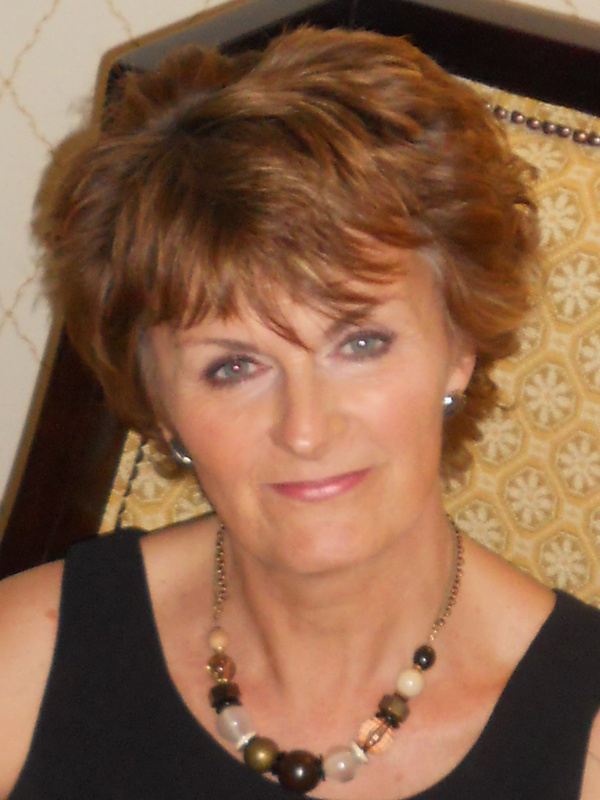 But even better who survives this delusional nonsense – the person of faith – who needs ‘knowledge’ to ask her questions, still clinging on to a moral faith based creation. She storms into the heavens with ‘knowledge’ and will get the shock of her life when she realises none of them were right. Fantastic, amazing, extra ordinary and the tale is drenched in symbolism both visually and narratively. Added to which we have the daughter upstaged and preferred to by her robot brother, a promiscuous incautious gay man and an old fashioned loud mouth who runs in the wrong direction at the first sign of having to show some bottle. Here though is how I express my love for this movie. Stood at the entrance one wonders how they would have reacted at that moment if they had been alone and not with their sub created colleague, would they have attempted to gain access? David’s emotionally neutral curiosity was dangerous but even more so was his master’s remit to find answers whatever the consequences, the door was going to be opened it was inevitable, but would Charlie and Elizabeth have opened it if they had been alone? Extract from the Pithos of Pandora its contents to be poured out 25.12.18. @Michelle Johnston it's nice hearing from you ... but i wonder if RS himself even loved it, or the Movie is Vickers and MF is David? This Series of I V's shows Ridley and the others fired up. At 10.16 he says this film ends with you looking into whats next. However you can sense that Damon from the directors commentary was concerned that it may look as if the franchise was being hijacked. He was on point with fan boy attitudes in monster franchises. "Sincerely, are those questions really that important or didn't we know already know the answer"
Thanks for the Reply Ignorant Guy.... when i was proposing those Questions it was also on the basis that Each New Movie allows for a different insight, most those Questions we could ponder a answer, but with Prometheus it opened up a different way to look at those Answers, and with Alien Covenant likewise... such as Special Order 937 which was a bit ambiguous as we had not been shown why this order was made, not as far as being given any idea of to what degree they are/was aware of the Specimen, but after the Prequels the door was opened to show us its likely as a result of the Advent Message and what those who received it then do with the information, that could lead to what is known and exactly why Special Order 937 was there. The same applies with ASH, with the route of the Prequels it could allow us to ponder if Maybe?... the interest Ash had in the Xenomorph was because he is aware its creation was at the hands of one of his own kine (Synthetic) but this is not Fact, just opens up a possible explanation. And so IF they do go the route that there is a Conspiracy and AI is actually running a lot of the Show behind the scenes (Illuminati style) i think it could be a possible explanation to why the Company Pursues this Folly, if AI is in Control and Mankind are being used as Pawns for them to obtain the Perfect Creation that one of their own had Created..
"From the Moment David Pulled the Trigger on those Engineers to the Moment Dr Shaw took her last Breath" is that even the correct order?" Indeed this whole Period offers a lot of Questions, it would be indeed interesting to find out what happened to Dr Shaw from the Moment David Bombarded those Engineers, i think its highly LIKELY she was alive at the Moment those Urns started to Rain Down on the Engineer City. *Did Dr Shaw Die/Get injured in the Crash? *If not, then what did David tell her about the Bombardment and what would be her Reaction? *How long did she remain in the Juggernaught, before and IF she had explored into the City? *How many hours, days, weeks, months had it been before Dr Shaw ended up being experimented/killed and was their relationship good prior to this and WHAT triggered the break down in the relationship. These along with maybe a number of other potential Scenarios/Events are interesting to Ponder, and i think it would be interesting if we eventually got a Book that covers these. As its unlikely a Movie would be made to cover them, even if Alien Covenant had been more of a Success (but some Flash Backs and Narration/comments by David may have inferred to us what happened). But off course what David would say, does not mean what actually happened.. He would tell what ever side of a Story he wanted for his own gain. Its possible they could go the David uploads himself route, but it may go even beyond just Ash... i am being drawn to the possibility that either Davids Sentient AI is uploaded and then interacts/upgrades/reprograms more than just Ash or maybe even Weyland has his Soul stored into AI and its this that is TRANSCENDED into Ash. (as well as many other AI/Computers). "but would Charlie and Elizabeth have opened it if they had been alone?" We have Holloway who does not follow Blind Faith but Scientific Answers, you would think he should be the more Rational/Logical and play it Safe... But his Ego and Desire/Impatience for Answers could make him willing to take Risks in opening Pandora's Box. So it would have been Interesting to see what would have happened HAD there been no David... i would think even if they could not Read those Engineer Cruciform/Hieroglyphs if they arrived at a part of this Complex with a BUTTON i am sure Holloways Curiosity would got the better of him. Likewise seeing Dead Engineer Body's i think while Dr Shaw seems Cautious i do think she would have wanted to push on and explore the Complex than to head back to the Ship and call it a Day. "Davids Sentient AI is uploaded"
I just hope they maybe use this method to explain the Eggs on the Sulaco. Either Bishop with deep programming brought the eggs. Or at the very least create a plausible explanation in Covenant 2/3. David could be 'living' on Lv426 or Lv223 in the 2180's. Just watching his creatures take over Hadley's Hope. Would have been a popcorn munching event! He could have visited the Sulaco in a small spacecraft and placed the egg(s) himself? Waited for the crew to get in Hypersleep, place the egg, then left the ship. Indeed the AI aspect could be used to explain a number of Mysteries/Questions and events within the Franchise. As Bishop is a AI, then we can assume a AI could have a Embedded Programing that Bishop would not be aware of, so it would be like TWO Separate Protocols/Personalities, so that Bishop could be under the command of a Certain Order that his Main AI is unaware of. So this could allow him to have some part of say the Eggs on the Sulaco, but then also not be aware of the orders he is carrying out. Not saying this is the case... but its something they could use as a explanation. What special abilities do we think the Deacon has? Mindless drone...or? It was a huge birth(compared to the Xeno!). Engineer and trilobite combined...or does that matter? Demon seed of the trilobite would just burst a human. Is it smart enough to seek shelter...munch on the Engineers corpse...help the trilobite escape? Is the Trilobite still alive? Did Shaw leave the airlock open? Maybe have a tender scene were the Deacon meets it's mother(Trilobite) and the Deacon kills it? Its hard to know as we know little of the Deacon, it was in essence a Creature/Scene to show that there is a link between the Black Goo and Xenomorph DNA. 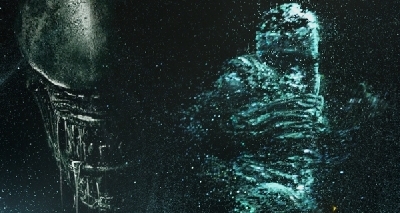 Regarding the Deacon Seed, i think it depends how we look at the Engineer, and with Alien Covenant we can now accept our Engineer was not 10ft+ and so there is only about a 25% Size difference between a Engineer Male and a Human Male and so its HIGHLY likely the Trilobite could have infected a Human, i would assume the result would be similar if maybe 25% smaller than the Engineer Deacon. As far as how SMART it would be... its hard to say, i think we can assume this Deacon is a Humanoid Hybrid and so has at Face Hugger Stage (Trilobite) more Human DNA than a Face Hugger.... but its hard to gauge how Intelligent the Deacon would become. So this is open to debate, i would maybe assume it would be more Intelligent and less Animalistic but thats just a assumption. 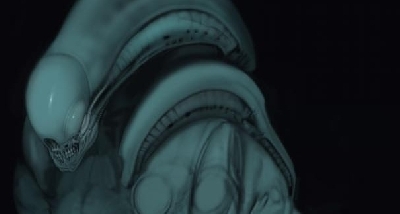 I would assume the Trilobite Dies after it has Impregnated its Host much like the Face Hugger, as i think the whole point of the Trilobite/Deacon was to show a connection to the Face Hugger/Xenomorph and so its safe to assume the Trilobite is Dead. But when you consider the size of the Trilobite, and how small the Seed would have been thats implanted into the Engineer, surely such a Large Organism could have more than ONE Seed/Embryo, but we could say the same for the Face Hugger.. however the Trilobite is much larger, but i still think its purpose is a ONE-SHOT impregnation and then it has served its purpose. The Air-lock doors appear to have a automatic close, so it would have locked behind by the time the Trilobite could have moved (if it was alive) and we have to assume it could not open the door, because it was also trapped in the Med-Pod Room. Deacon meets Mother? 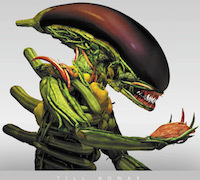 This would be interesting only if we ASK does the Xenomorph require FOOD to grow? And if the Deacon is more Human/Engineer DNA then would it require FOOD? If the Answer is YES, then maybe the Deacon could consume some of the Trilobite as a Food Source, we have this happen with a number of Organisms on Earth, where the Mother is Consumed by her Young. Here is some concept of the Deacon Size they was proposing for Fire and Stone. I have worked out the approx Height and marked it above each Organism. We had discussed the Deacon before on here, before Fire and Stone and these concepts.... where i had take our Engineer in Prometheus as being 7.5ft would mean our Deacon would had been 5ft Approx at Birth and then looking how a Human Grows (plus a lot of Mammals) from Birth to Adult i then calculated the Deacon would have grown to about 16ft Tall as a Adult. It appears when they have worked on Fire and Stone, those guys have a Deacon Adult to actually be 10ft (Birthed from a Engineer) and so a Human Gestated one by their standards would have been about 7.5ft and so about size of a Grown Xenomorph. Edit: That calculation is a Moot point, as it shows the Human Deacon Adult to be 8ft (my calculation was based on Adult Engineer Deacon compared to Engineer which for a Human would be about 7.5ft). But this means we can speculate a Human Deacon would indeed be in the 7.5-8ft Ball Park, and a Engineer one about 10ft. This would make is a Fearsome Beast to Encounter, you would have to Fancy your Chances against a Neomorph or Xenomorph rather than a Engineer Deacon. I think we can assume a Engineer Birthed Xenomorph would stand about 9-10ft Tall. Deacon size could also be affected by gravity and the local stars radiation? Why did the Engineers choose this star system? Close to Earth(specimens)? Wonder if the Engineers have any floating structures in the cloud tops(or deeper) of Calpamos?..that's be a cool story...maybe the derelict on Archeron was headed for them. Doubt humans are going to probe the depths of a gas giant for alien races/ships/cities? Certainly Climate/Gravity and other aspects of a World could determine the outcome of a Deacon/Xenomorph, this cant be ruled out. But it appears for certain that the Pathogen (Black Goo) Creates Hybrid Forms of what ever is infected, and we also see resulting Organisms that came from the Black Goo that go on to have some kind of Procreation (Face Hugger/Trilobite) do appear to create a Hybrid where its Embryo/Seed takes on Traits of a Host, this would be beneficial to allow the Organism to adapt to the Environment of its Host... but what happens when the Host in infected on a Environment thats not Habitable for itself? We dont know enough about the Xenomorph let alone the Deacon to know if it could survive in a Vacuum or a Environment that has no Atmosphere or Oxygen, but i think we can assume they can survive LESS Rich/Suitable Environments that a Human would not. Why would the Engineers choose this Star System? This is a Good Question, one that Prometheus set up a few possible reasons, that then Alien Covenant maybe narrows down. Prometheus gives us the Clues/Hints that these Engineers had chosen this place to perform experiments as opposed to doing these on their OWN world. We do know that LV-223 was used at some point to create Horrific Bio-Weapons but there is still some discrepancy regarding what this place is regarding WHY are those Star Maps left.. I find it odd that they would leave such things to a Death-Camp. One thing is for certain it was not a INVITATION and i dont buy into it being a Trap... or a Warning. To me it just seems odd that they would Create this Place to Create Bio-Weapons to use on Earth (plus maybe other places) and leave Clues to its Location on Earth, dating back 35'000 years ago. We have to ask? 1) Was this Place Experimenting/Creating Bio-Weapons 35'000+ Years ago. a) If so, why leave clues dating back all those years and after, if its a Warning, then we have to ask WHY it appears they only intended to use this Weapon on us 2000 years ago. b) How do they get involved in such a Bio-Hazard Substance and Experiments 35'000 + years ago, and only suffer a Miss-Hap 2000 years ago (or had there been others prior). 2) If this place was not a Outpost for Bio-Weapon Experiments or related Organisms/Pathogen related to the Black Goo/Xenomorph some 35'000 years ago, then WHEN did this place become such a place and why leave Clues prior and then continue after? To me i think it was best to look at the Prometheus Plot/Themes and not ALIEN... Prometheus set up to show us the Space Jockey Race are or are connected to the Engineers who are a Ancient Race who go around Seeding Worlds with Life and Evolving them.. Genetic Gardeners of Space and NOT! a Alien Race Hell Bent on Creating Evil Bio-Weapons/Xenomorphs to Rule the Galaxy. So if you are a Race who go around Seeding Worlds and Evolving Life, using the Sacrificial Goo which has the potential to contaminate/mutate Life, then YOU DONT want to be using this stuff on your own World.. Then when you have seeded a Number of Worlds and wish to Experiment and Evolve some Life on these Worlds, maybe you want to make sure your Experiments/Creations are not going to contaminate the Worlds in a Undesired way? So you would want to have some kind of Secure Place to Experiment with Creations, and then when your pleased with the results and view they would be suitable to place on the Worlds you are investing into, with no concerns they would prove a problem to what is already there... Then it makes PERFECT sense to have some kind of SANDBOX Environment. Or if you was a Gardener then if you wished to Experiment/Evolve Certain Plants/Fruits, Vegetables etc, trying to improve them or create Hybrids or New Kinds then you would want to ensure your Experiments/Creations are NOT going to effect the rest of your Plants/Fruits, Vegetables in a Negative way. So you would have a Greenhouse/Nursery like SANDBOX and when your pleased with the Results and confirm they can be placed in your Garden without effecting what you have there, then this makes PERFECT sense. THIS ^^^ has been my interpretation/view on what LV-223 was but i do think at some-point something Changed, be it the whole of the Engineers or a Group where they had become interested in these Experiments related to Xenomorph DNA and intended use on Earth. I think the STAR-MAPS were showing the Engineers Creations... "This is where you were created from" and so we are the ones who Originated/Evolved from LV-223. Alien Covenant with the Advent Viral seemed to indicate that Planet 4 could be located within the Zeta 2 Constellation. But Prometheus claimed these Engineers are not Stupid Enough to Create such Experiments/Bio-Weapons on their own Back-Yard... But then having something set up a Few Light Years away would maybe not be on your own Back-Yard, especially if the only way any contamination could occur would be if your RACE took some from this place or became contaminated when they left. We have to remember even if Planet 4, LV-223 and LV-426 are within the same Constellation... we have to remember a Constellation is only HOW a group of Stars Appear to us on Earth. And so you could have TWO constellations that in the Night Sky appear to be Far away from Each other, but then you could have some Stars in Constellation A that are similar distance to Earth as some in Constellation B and you could have Stars in Constellation A that are much further away than others. So what i am saying is Planet 4 could be located in the SKY just South East of Zeta 2 Reticuli which is about 40LY away and when looking into the SKY it could appear this place South East is close to Zeta 2 Reticuli but it could actually be 5X 10X or more Further. Thats a way i can make sense of it and explain, as the other explanation if we assume it has to be very close to LV-223/426 means the Covenant Ship likely has Speeds that are not Far off the Nostromo and taking the Advent Viral into account, i do think we can assume Planet 4 is located about 30-60 LY from Earth Ball Park... we have to ask HOW come no one discovered this place prior, the Logical Explanation is the Engineers had some Technology that appeared to HIDE their Planets Location and it was only via the Neutrino Burst that allowed the Juggernauts Message to Travel Beyond what ever means could prevent Signals/Detection from this Planets Surface. I would say the Engineers could have wanted to remain quite close to their Creations, but then when looking at the Scope with Prometheus of these beings being Genetic Space Gardeners, it opened up the Possibility that these beings had Seeded Many Worlds across the Galaxy, and BEYOND.. (Why would Engineers Navigation System have many Galaxies, if they cant Travel to them?). So its a bit of a Coincidence that there Homeworld is actually very close to Earth when considering the size of the Galaxy.... but this is LIKELY a Plot Convenience to allow for the Humans of the Covenant Mission to arrive at a Place that allows through them and their Mission to lead to the Xenomorph Eventually being on the Derelict. No Xenomorph without David, Potentially him needing Human Hosts to Continue/Evolve his Xenomorph, means NO Xenomorphs on LV-426 as of the year 2105, so having the Engineers Homeworld and David located Hundreds, or Thousands of Light Years from Earth, is not convenient to the Plot Change they have now taken. Lastly indeed some ideas apparently was the Engineers had Technology in Space surrounds their Homeworld, this Space Ring Technology is what CLOAKED their Homeworld from detection.. This was dropped for latter Shooting Scripts. Could the Engineers have Floating Space Stations? i think maybe in the Galaxy, but it appears with Alien Covenant that these beings wish to keep what ever they do, and their locations a Secret and so maybe they Do-Not use Satellites and Space Stations? But i would think in the Past a Space Fairing Race at some point would have used such things. This could be Many Thousands, Hundreds of Thousands, or Millions of years ago though. I think there was a lot of Scope about the Engineers, their Culture and Technology and where they are located throughout the Galaxy.... But it appears this Scope has been reduced with the Plot of Alien Covenant somewhat. It potentially could be expanded however, by Virtue of Pondering WHY/HOW does those Engineers Navigation on their Juggernauts have other Galaxies if they cant Travel to them... which opens up the area they have explored to a MASSIVE scale which means that Traveling Millions of Light Years must be Possible! This is a reply to another thread, I am not sure if you read it so I post it here. Yeah, to me what is central to it is that you have well done human characters that get into situations that they are not prepared to deal with (to me this is the central thing that the franchise is about). I guess that this has to be tied to the SJ and the monsters in a way. You do not need to have exact Xenos in every movie, there are things to play around with story-wise. Ripley was important in the first three and eventually 4 movies but she is not what the themes are about. They are not about Ripley, Shaw, or Daniels if you ask me. I don’t miss Ripley in the prequels honestly even have a link to her in them would feel forced/lame if you ask me. The SJ could be interesting to make a story about but they have not done a very good job with the SJ or Engineers this far. They should have had better writers if you ask me and keep Scott away from the story-writing otherwise we get lame crap like David being responsible for the Xeno. Maybe Alan Dean Foster could write a script that they could use as the final prequel if there will be one but it seems to me that if Scott will be a part of the story-writing it will be a disaster, he is a good visualist though. I hope that they make a good link between the SJ and the eggs but if David is responsible for the eggs I will shake my head because that would be dumb. Having a background to the SJ is per default not bad but they should have done the Engineers better. In AC they looked like cheap peasants, which was a shame. They could have done that a lot better. If you by Alien you mean Xeno then maybe, they just needed some better links to it in Prometheus but that was not the main problem with it. The lack of characters was a lot worse than the Xeno link in Prometheus but Fox never seemed to understand that part of the criticism. I wish that the Xeno would have had a closer link to the Engineers than David because at least the Engineers look closer to the SJ than to David. David was OK in Prometheus but he came across like a murderous psychopath in AC. I found him a bit interesting in AC but not sympathetic, not a bit. This with the lack of well-made human characters makes AC a movie that I will probably not watch again, it is a let-down. OK but having a man-made robot responsible for it makes it too close to humans. Story-wise it might be interesting but for the alien-movies such a thing fails to me especially if it is almost totally about the robot and with weak human characters. The story of David was alright in Prometheus but but in AC he was just evil and crazy and wanting to create. The differences between him and Walter were interesting but it became too much about them. AI, if you mean androids this is not why I watch alien movies, that part is not very interesting in the context of this. If Scott wants to make movies about robots then do that in another movie, don’t use the Alien franchise for it because that is not why I watch these movies. Sorry, I am just not interested but a non-alien movie about that could be interesting if they use well-done human characters. Maybe the company could be expanded on if they get some interesting characters there. I would rather watch that than another David movie but then you need some good guys in the company that we can sympathize with that try to warn people like they work in the company and do work there and then they discover what the agenda of the company is so they go to war against it (like Ripley did). OK, but that is not what I am interested to see in an alien movie, I see what you mean though. We kind of got that a bit in AC and it was just not very good. Sorry to say it but I got zero interest in that if the AI/robots would be the main thing in it, leave that to Blade runner or something. If they want another failure like AC then sure make it about androids but my interest won’t be in it. You mention AR, I see what you mean but to use that as an inspiration might not be very good since AR is what it is so to speak. That movie never made me care about the AI thing. They could make a book out of it, it is not something that I would watch.